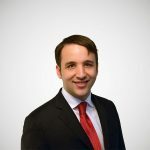 Yesterday we published an overview and dynamic modeling results for a business tax proposal by Representative Devin Nunes (R-CA). This tax plan has been developing for several years now, largely without heavy media attention. It has now reached the point where it should probably turn more heads. Some tax plans, often those that receive the most attention, are mostly ideological markers about the appropriate size of the tax burden on various groups, or the appropriate size of the tax burden generally. Both of these are important conversations, but the kind of tax plan that sparks such conversation is not usually the kind of tax plan that has a chance of implementation. Representative Nunes’s plan probably does have a chance of implementation in some form. It represents years of work by a ten-year veteran of the House Ways and Means Committee, and its priorities reflect that. Its goal is problem-solving. The plan does not substantially change the overall U.S. tax burden (it is designed to be revenue-neutral in the budget window, for instance) and it is largely limited to technical changes on the business side. Those technical changes are important, though, and despite the plan’s modest appearance, it is actually deeply ambitious. It addresses some of the biggest issues with the business tax code. It gradually lowers our statutory corporate income tax rate, highest in the developed world. It follows other OECD countries in moving to a superior territorial system of corporate taxation, ending the exhausting struggle over “repatriation.” And it moves to a simple “expensing” system of accounting for corporate investment, ending complex depreciation rules that slow economic growth. 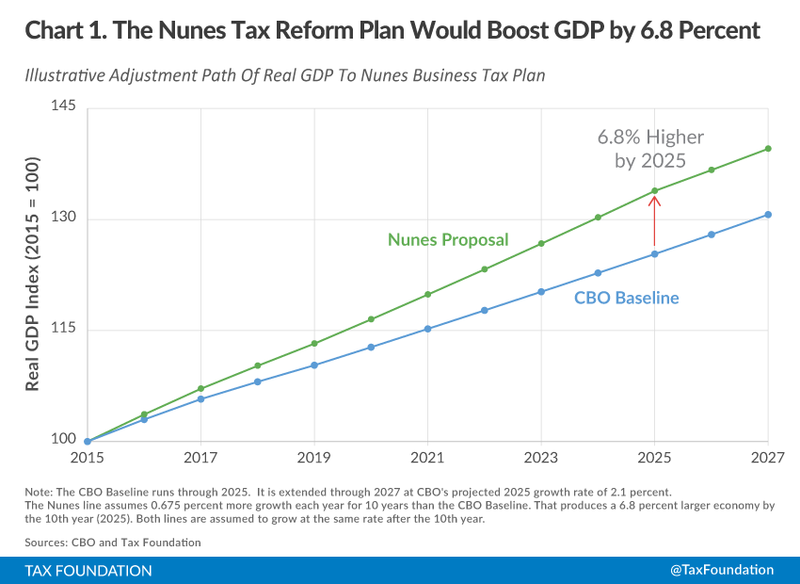 My colleague, Dr. Michael Schuyler, used our Taxes and Growth model to model the major provisions of the Nunes plan. His results come from an optimistic scenario in which the plan would be fully adopted immediately, rather than over the kind of longer transition period we would likely see in practice. The growth attributable to the plan is about 0.7% per year for a sustained period of about a decade. In some ways that amount is modest – tax plans don’t create free unicorns or anything – but this plan makes surgical strikes on the worst aspects of the tax code, and that growth slowly adds up to something representing maybe $3,000 for a typical household. This is one of the best tax plans in Congress right now. It is pro-growth. It is detailed. And above all, it is serious. Mike Schuyler’s in-depth analysis can be read here.